It was great to see so many mothers, grandmothers, aunties or other extended members of families attend our annual Mothers’ Day Breakfast. This opportunity created wonderful, peaceful family time over breakfast which normally in many households is a very rushed part of the day. 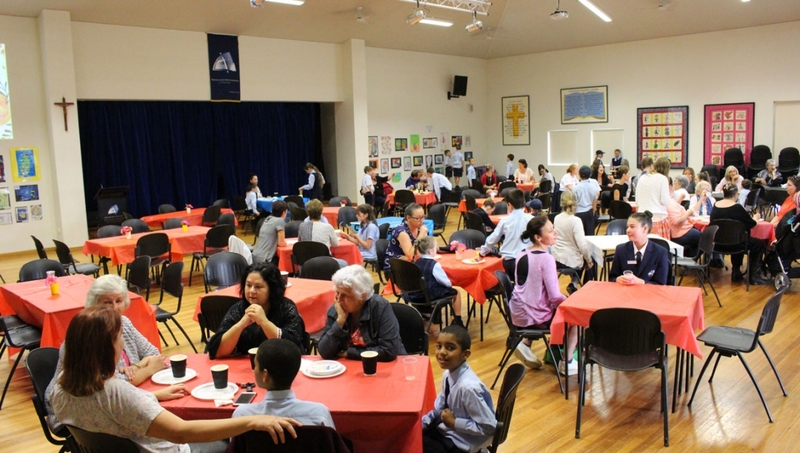 Thank you to Mrs Lloyd, Mr Lawless and Year 12 who planned and catered for the breakfast. A full gallery can be found on our Facebook page. 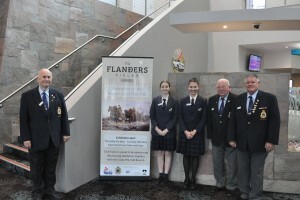 School leaders Abigail Watman and Shauna Kelliher were invited to represent the College at the opening of the Travelling World War One Exhibition. The WW1 Travelling Exhibition was hosted by Club Taree. The large crowd in attendance had the pleasure of hearing from Ms Anne Bennie who, in her capacity of the Assistant Director of the Australia War Memorial in Canberra, opened the Exhibition. The ceremony was attended by many community leaders from the Manning Valley and Great Lakes and a host of organisations were present. Abigail and Shauna are to be commended for the dignity and grace with which they represented MVAC and this was commented on by a number of civic leaders who were there. 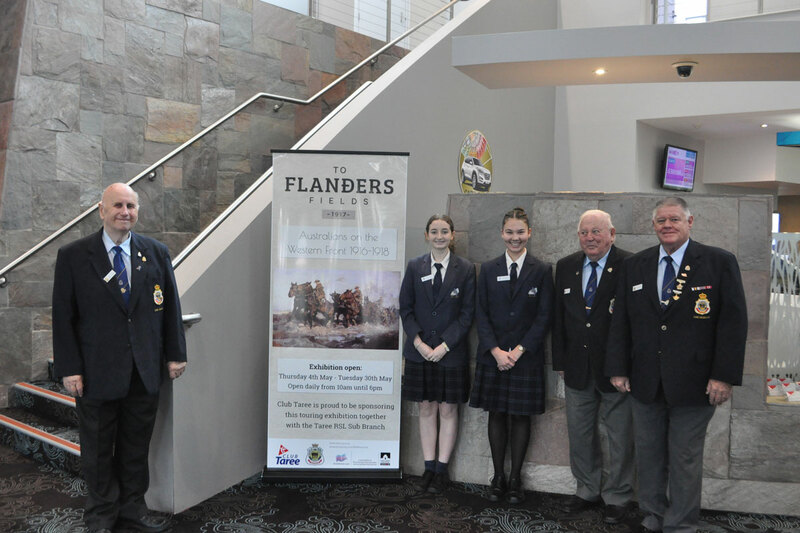 The College was grateful for the invitation from Mr Dennis Lawrence, the Honorary Secretary of the Taree RSL Sub Branch, to attend such a significant and auspicious event. 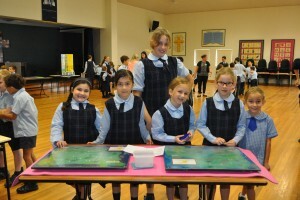 MVAC welcomed the World of Maths roadshow this week. The presentation was a big hit. 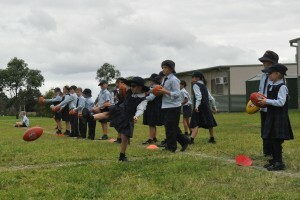 Age-appropriate sessions were run across Tuesday and Wednesday involving students from Kindergarten to Year 9. 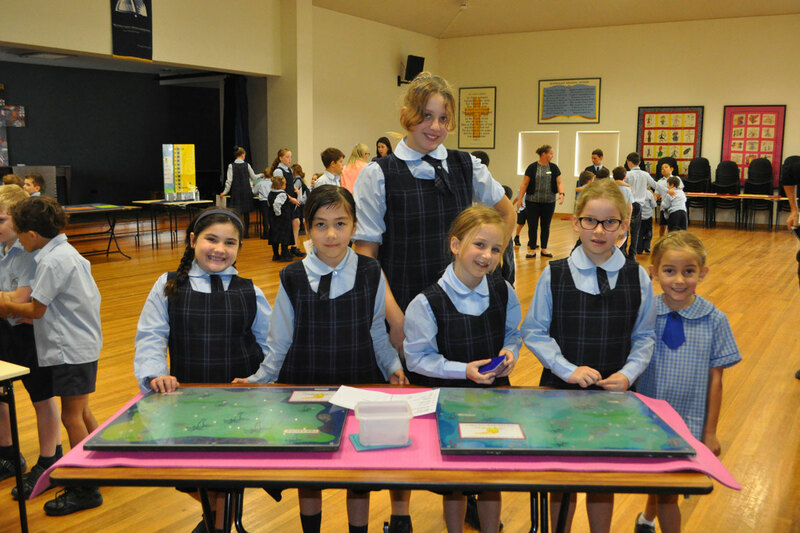 The students participated in one-and-a-half hour workshops exploring a variety of hands on puzzles. In small groups, they worked together to investigate problems of logical sequences, networks, geometry, measurement, probability and arithmetic. Theactivities were engaging and stimulating. Many problem solving strategies were brought to the fore as well asfundamental thinking strategies. Every student participated well. They worked cooperatively and met the challenges with enthusiasm. Congratulations to every student! You can find a few more photos on Facebook. 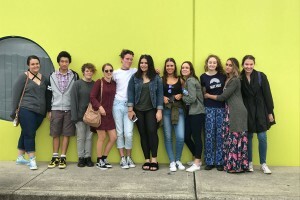 At the end of last term, Year 12 spent the last two weeks finishing off their Mid Course Examinations and then participating in their leadership camp. 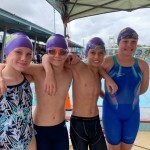 The camp was designed to give the students the opportunity to ‘unwind’ as a group following a busy term and the challenges faced for their first set of HSC examinations. The camp was based in Swansea and including activities in and around the Newcastle area. 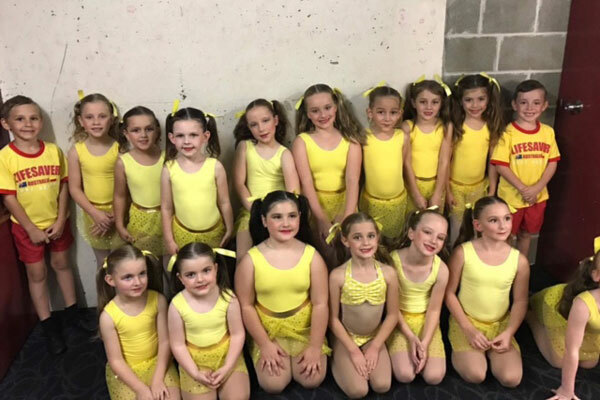 From Revolutions Trampoline Park to Hunter Ice Skating, all activities where thoroughly enjoyed by all. During the camp we were lucky to have graduates from 2015 and 2016 drop in to see both the staff and students. It was nice to hear of the courses they are enrolled in and how much they are enjoying their study at NewcastleUniversity. Now that we have commenced Term 2, Year 12 have hopefully come back refreshed and revitalised and ready to work through the remainder of their HSC studies. While it’s important to maintain a strong and healthy study routine, we also encourage Year 12 to make sure they taking time to themselves so that they are feeling healthy in all the different dimensions of health. Thank you Year 12 for a wonderful camp and experience. 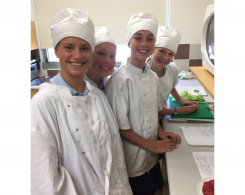 On Monday 1 May, selected students from Year 7 – 12 travelled to Adamstown to participate in the HRIS Gala Day. With a tough pool draw and opposition generally consisting of much older players, our young team showed great fight and determination. Goals from Braithe Waites and Tim Walker showed our team is starting to and will continue to develop into a competitive side in the years to come. Congratulations to Mr Ferguson and his players onmaintaining a high standard of sportsmanship we have come to expect from our representative teams. All the best in the Bill Turner Cup match next week. 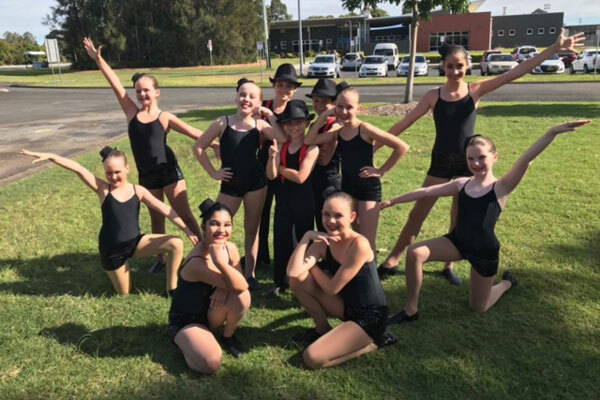 Congratulations to our Primary and Infant Dance Groups who competed at the Taree and District Eisteddfod on Monday. The Infant group received a highly commended award for their efforts, and our Primary students placed first! A big thank you to all the parents who assisted with sewing, hair and makeup. The school has developed a partnership with Smiles on Site, a school-based Australia-wide Dental organisation. Please find later in the newsletter an information sheet on their services. They will be onsite for the week commencing Monday, 29 May. While here they will offer dental services to all of our students. More information will be sent home after the official launch which will take place at both Primary and Secondary assemblies on Monday, 8 May. 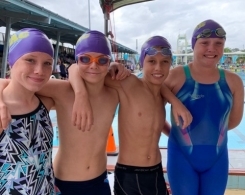 Years 3, 5, 7 and 9 students will participate in the National Assessment Program – Literacy and Numeracy (NAPLAN) on Tuesday 9, Wednesday 10 and Thursday 11 May, with the opportunity for students to make up tests that they may have missed on these days through illness and the like on Friday, 12 May. Whilst it is difficult for this form of testing, which takes place on a national basis, to delineate the entirety of the depth and richness of a student’s learning or the contribution that the School makes to the overall experience of its students, NAPLAN provides us with important and useful information to inform our planning for students and our approaches to teaching and learning. The tests offer an excellent opportunity for students to rehearse their revision skills generally and examination skills, positive thinking and perseverance in the context of a timed assessment setting. K – 6 students were paid a visit by representatives from the AFL who were keen to not only immerse the students in a variety of skills sessions, but were also looking to promote the AFL After School Auskick program which will be commencing at the College on Tuesday, 9 May at 3:30pm, and will run every Tuesday for 6 weeks, through until the June 13. The first week will be a FREE ‘come and try’ session with the remainder of the program costing $45. All students who participated in the skills sessions received a flyer with more detailed information regarding the program. Please don’t hesitate to contact me at the College if you have questions regarding AFL After School Auskick.